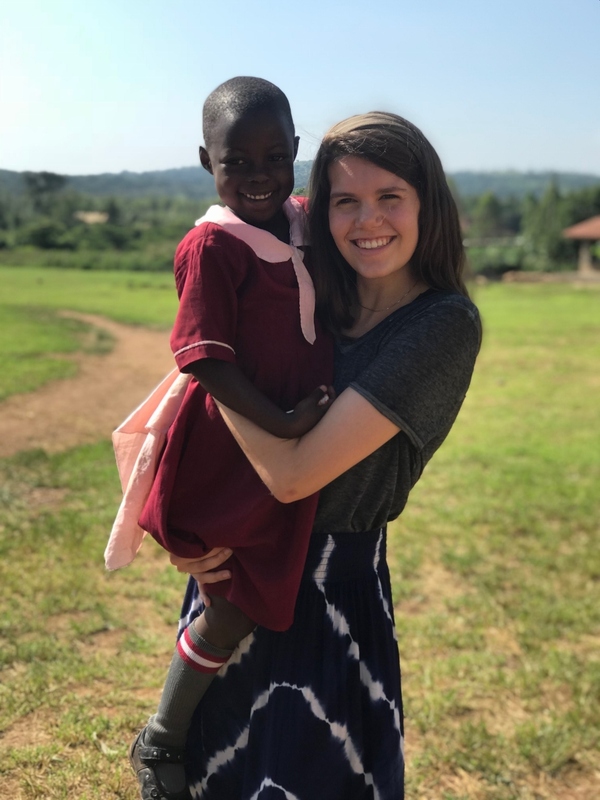 Read below a testimony from a Simone's Kids Board Member and their first time experience on the ground in Uganda. 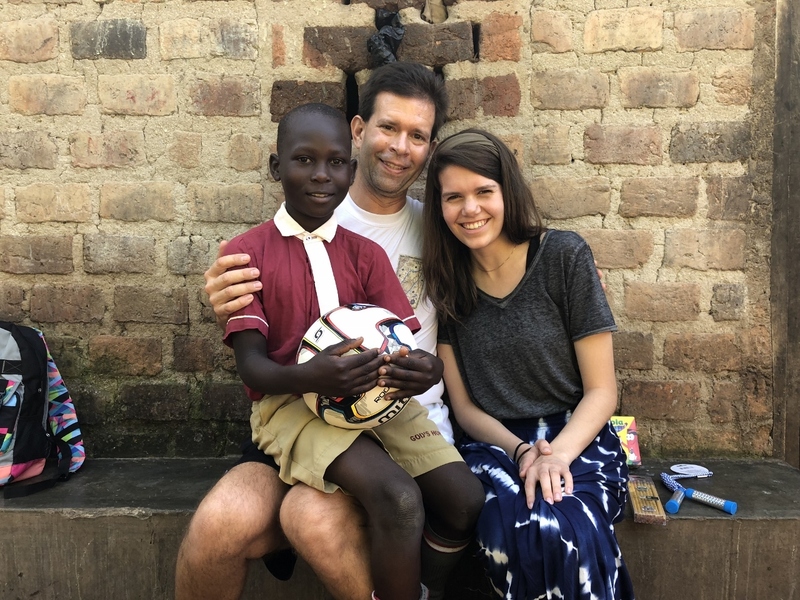 It has been a week since my trip to visit The Simone’s Kids properties in Nakaseke, Uganda – God’s Hope Primary School and God’s Hope High School. Before going, I tried not to form any expectations of what Uganda would be like, the living conditions, and condition of the schools. I knew that whatever I would expect, would not be reality. I have some skeptical people in my life who doubt organizations like Simone’s Kids. They say that very little money ever gets to the final destination and promises made are not fulfilled. This could not be farther from the truth. I joined the board of Simone’s Kids this past February. In that meeting, we discussed several projects, but three smaller ones involved building a ramp at the primary school cafeteria to make it easier and safer for the students to line up to receive their meal. A wall was to be installed in the cafeteria to separate the kitchen from where food was stored, to help reduce spoilage. A drainage ravine near the playground was to be filled in for the safety of the children. This all sounded great in the board room in February, but it was AMAZING to show up at the school in June and see all three projects done and in use! Things get done here! I saw all of the buildings I heard about before I joined the board – especially the new infirmary. I saw a room filled with mattresses and blanket/mosquito netting kits waiting to be distributed to Simone’s Kids families from the fundraiser. I saw the children eating eggs – critical protein their growing bodies need. The welcome we received was unforgettable. These people get it. They appreciate what Simone’s Kids has done to get them to this point. They appreciate the opportunities that they have benefited from because so many here care enough to give to this organization. They understand that their kids can break the cycle of poverty by getting an education and/or learning a useful trade or skill. They understand how the quality of food provided will help the children grow stronger to learn better, than without. The Americans and Ugandans who are with Simone’s Kids full time are AMAZING people with HUGE hearts for these kids. It is so clear to me how devoted they are to the children of both schools. I was joined on this trip with another board member. Together, we were able to identify some inefficiencies and hierarchy issues, but we have put into place better job descriptions and duties for those on the ground in Uganda. But this trip wasn’t just business – we got to serve lunches to the thankful smiling faces. We got to deliver mattresses and bedding sets to extremely thankful families. We got to see teachers in action – teaching all these kids from their hearts – they have great teachers who love these kids. And we got to love on these kids. Can you say hugs, hugs, and more hugs! Now that I have been “on the ground” myself and seen the campuses, I just want to help, help, help! We identified so many needs – some small, some large. Being there and seeing how much benefit the children would get, I just want to fix it all now. But one person can’t make the difference. We need many to support Simone’s Kids, so that the changes can keep coming to the schools and the students. We’ve come a long way, but there is so much more to do. I am SO excited to be part of this organization. I am SO excited to see the great things we will do in the future. I am confident that, when I return, I will see the quality of life improve for these wonderful children of Uganda. With additional protein, they will grow more healthy, but able to concentrate and learn better, and eventually better their community by contributing their new skills learned at God’s Hope. I can’t wait to see what is next. I am excited to do what I can to help Simone’s kids, both financially and on the board.